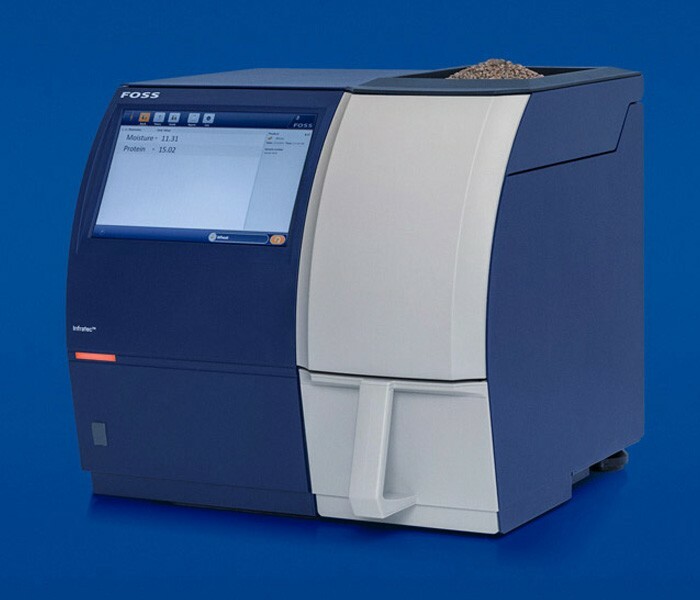 FOSS announces the Infratec™, the first in a new generation of ‘Smart’ analytical instruments that gives users all the well-proven advantages of rapid, reliable grain testing without the worry of trouble-shooting and instrument monitoring. Combining the latest in near infrared analytical technology with rock solid reliability, the novel Infratec offers a straightforward way to access the significant developments in grain testing achieved over recent years of FOSS innovation. These include minimal trouble-shooting, improved uptime and great usability. Such features are a timely development giving quality controllers the usability, stability and uptime they need for the job of quality control and grain payment in the unpredictable harvest conditions of today’s grain production. With full backwards compatibility, the Infratec is ready to plug in to grain networks to either replace or augment existing near infrared instruments. Comprehensive ANN calibrations coupled with best repeatability and transferability in the industry make for an unbeatable grain testing platform while advanced connectivity let’s quality controllers keep an eye on instrument performance and operator SOP-compliance from anywhere. Robust IP54 instrumentation withstands changes in temperature and humidity. Advances in digital connectivity have changed the operational landscape in recent years with immediate trouble-shooting backup from experts and proactive instrument maintenance as natural features waiting to be exploited. In turn, service costs become predictable, for instance, with a remote service subscription at a low flat rate. Touch screen operation and an intuitive interface makes for error-free operation even when using seasonal operatives. The unit has a fast and easy automatic start function: just pour in sample. A refined user interface includes custom pin-code access to functionality areas according to operator level.